Liam Collins presented the game Alaska Steve: Bite Frost Back as part of the Kingston Film Festival's Digital Media Showcase. 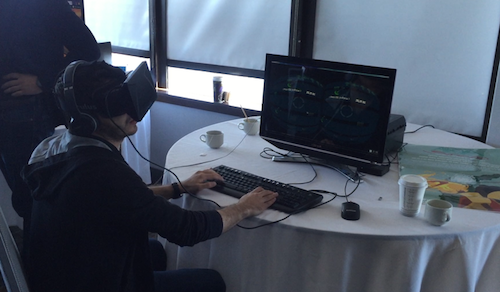 Alaska Steve shows how virtual reality can add a new dimension to 2D games. 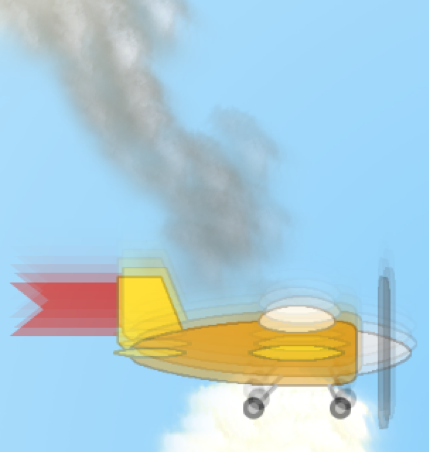 Alaska Steve was developed by Queen's students Liam Collins, Stefan Eylott, and John Leedale. For more information on Alaska Steve, see the video and the paper. How can concepts from behavioural economics help guide the exertion levels of exergame players? In a newly published paper in Entertainment Computing, Adrian Schneider shows how Thaler and Sunstein's Nudge Theory can be applied to digital games. To learn more, see the paper, or the video. 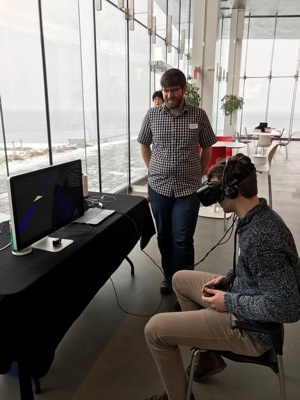 The EQUIS Lab's Dan Clarke demonstrated Arcaid, his virtual reality implementation of PacMan, today at the iON Kingston Virtual Reality Exhibition. For more information on Arcaid, see the movie and the paper. On Radio Canada International, Nick Graham discusses Pokémon Go and trends in augmented reality. He also discusses the EQUIS Lab's work on how to make mobile augmented reality safe. Click through to read Pokémon Go, for better and worse and listen to the interview. 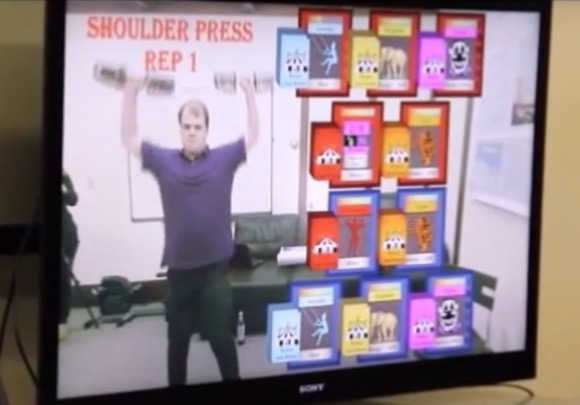 Chad Richards presented the paper “Developing Compelling Repetitive-Motion Exergames by Balancing Player Agency with the Constraints of Exercise” at the 2016 Designing Interactive Systems (DIS) conference. The paper shows how it’s possible to design fun and engaging games around the constraints of repetitive motion exercises such as strength training or physical rehabilitation. For more information and a video, click here. Mallory Ketcheson today presented the paper “Thighrim and Calf-Life: A Study of the Conversion of Off-the-Shelf Video Games into Exergames” at this year’s Human Factors in Computing Systems (CHI) conference. 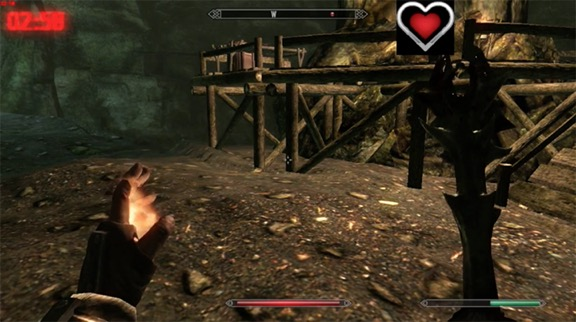 The paper shows how block-buster video games like Skyrim and Half-Life can be converted into successful exergames. For more information, see this description and video of the work. Mallory performed this work with Luke Walker and Nick Graham. The EQUIS Lab now has a YouTube Channel. We've collected our videos on research in exergames, simulation-based training and game networking into a single place. Hope you enjoy it!